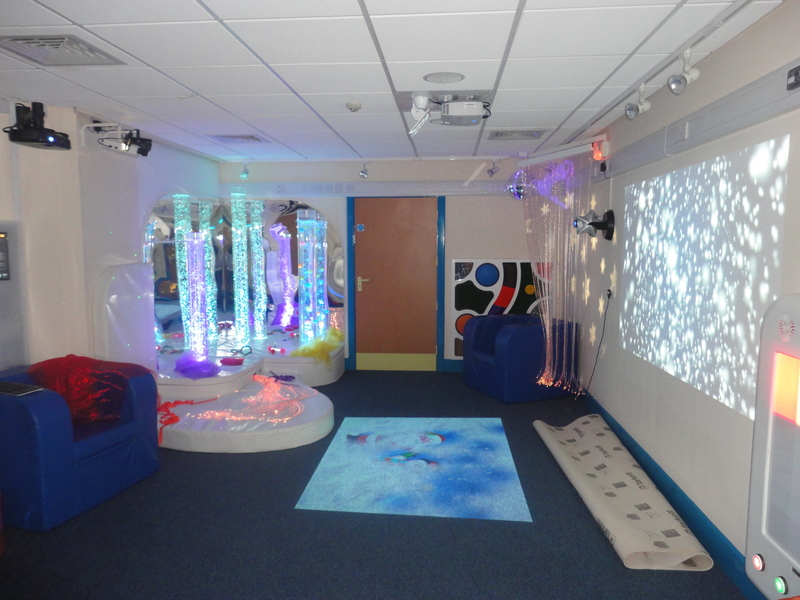 A local special needs school has unveiled its new £20,000 multi-sensory room for students with the help of a local business that raised thousands towards the project. Springwood Primary School in Salford has officially opened the new state-of-the-art room, complete with equipment to provide tactile, visual, auditory, vestibular and proprioceptive feedback with a special focus on education. The school, which provides specialist education for 171 pupils aged two to 11 years with profound, complex and challenging needs, has also opened the space to parents who want to spend time in the sensory environment with their children. Majority funds for the project were raised by the school’s voluntary fundraising community Friends of Springwood. Local business K3 Syspro was invited to the grand opening of the new room after helping to raise vital funds for the project with a Cape Argus Pick n Pay Cycle Tour in Western Cape, South Africa. The company, which provides Enterprise Resource Planning (ERP) solutions to companies throughout the UK and Europe, competed with its software supplier SYSPRO to tackle the largest individually timed cycling event in the world. The Cape Argus put 35,000 riders through their paces cycling a gruelling distance of 109km – about the same distance from Manchester to Birmingham in the UK. The local firm put five members of staff through the challenge, who finished the course in the combined time of 20 hours, 36 minutes, raising £3,000 towards Springwood’s multi-sensory room in the process. In an interesting twist, it was one of K3 Syspro’s own customers, multi-sensory equipment manufacturer ROMPA, which provided the room to Springwood Primary School, even donating its flagship product Sensory Magic to the school, an interactive device which empowers users to control light, colour, images, videos and sounds. ROMPA has been a SYSPRO user, and K3 customer for over 2 years.